How our CKD journey started. My son was invited to Choi Kwang Do on buddy week, by his friend. I did not want him to go as he had recently just stopped doing MMA, which I was not a fan of. After much thought, I decided to let him go. He came back from the session with a big smile on his face and said ” can I go again?” He was so excited, and he really enjoyed the session. How could I say no? 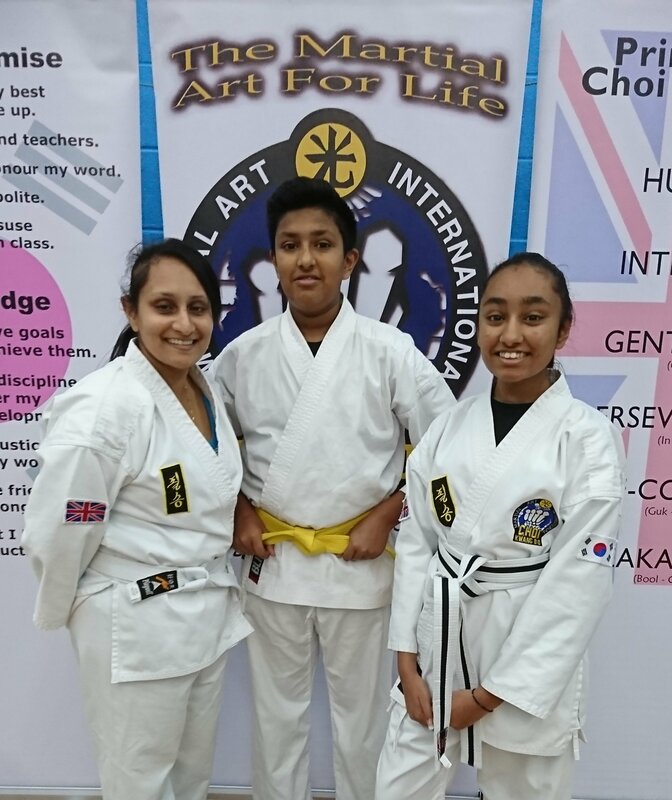 When I went to see the instructors, to fill out the paperwork, Mr Bicknell said “come and try out Choi Kwang do too” I started to laugh and I said “it’s not my kind of thing.” When I was there, I felt that Mrs and Mr Bicknell were very approachable, friendly and down to earth people. Not like other instructors that I have met in the past during other martial art fields. Funny as it seems, it was buddy week the week after again and my very good friend invited my daughter and I too attended a taster session! we went just for the sake of it. My daughter didn’t want to go, but she came anyway to see how things went. She is such a girly girl and had no interest whatsoever. After the session, my daughter and I were amazed how much we actually enjoyed the session and how comfortable we were during the session, everyone was so welcoming, since that time, us as a family have become addicted to CKD, especially my daughter, who didn’t want to go at first, CKD has embedded into her blood ! The reason that keeps us going back, week after week, is our lovely instructors, the Bicknells. They are so professional and encouraging. The thing that stands out the most about them is the way they interact with the younger children in class. The way they build up their confidence, by little encouraging words. Choi Kwang Do was a life choice that we made and it is one of the best things we have done! we love being part of the amazing CKD family.